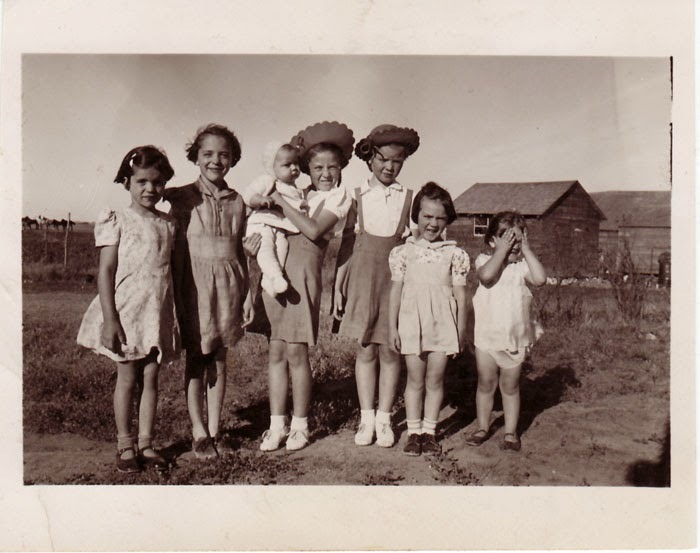 A few weeks ago I came across this sweet photo of my Mom (she's the one in the centre holding the baby) and her sisters and cousins on the family farm and thought I should make something for her using it for this coming Mother's Day. Since she loves her morning coffee, a mug for her to use each day would be perfect and she'll be so surprised to get it! So when the folks at Staples contacted us to help launch their new Copy & Print service, we were excited to test the waters with this photo along with a few other project ideas in the week's to come! 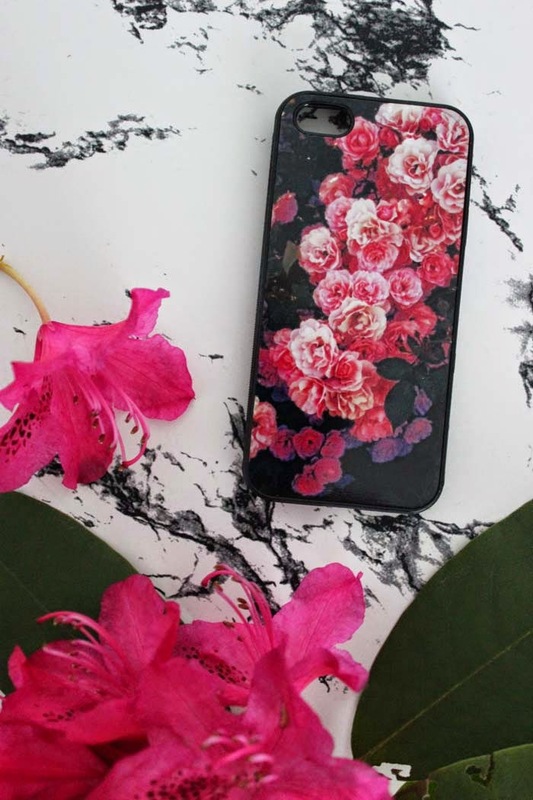 Their new service makes it super-easy to print a photo like this onto a product like a mug either online or in-store via their eKiosk and we loved that it only took a couple of days from ordering to pick-up (or delivery)! 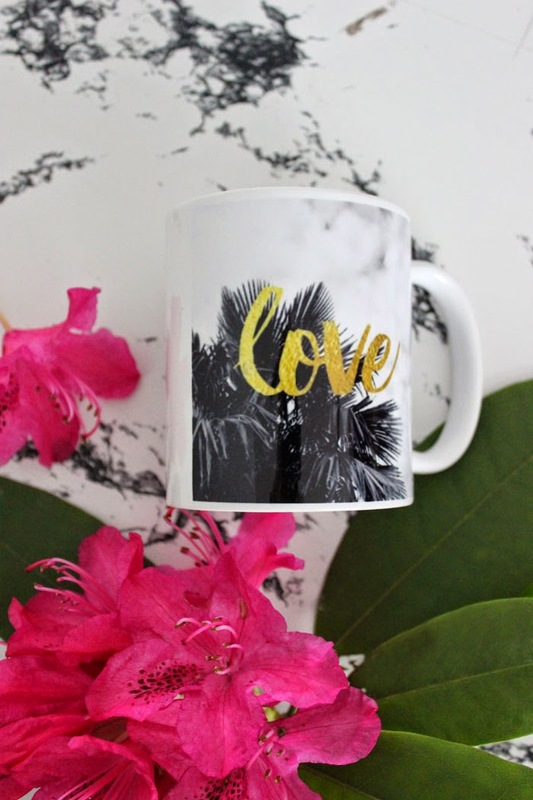 What's fun too we thought, is that not only can you print traditional images (like family and friends) onto mugs and other products (like tees, canvas, mouse pads, etc.) but by getting creative, one can make something really unique for yourself or someone special by using a favorite photo of a special place or time, or perhaps something like a special holiday too. The projects one could make are really endless and you can really create some rad projects! 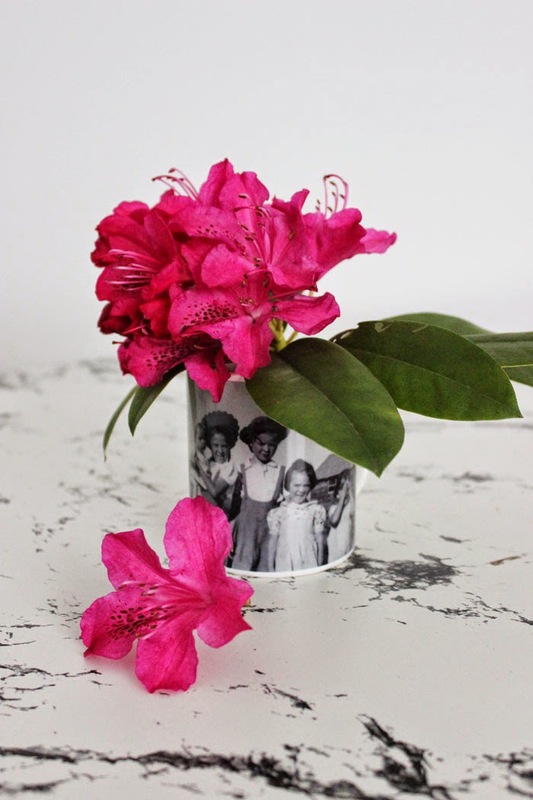 We have four projects to share with you each week and our first project is with Mother's Day in mind We grabbed a few photo's from our personal archives and instagram! What's cool too is with Staple's Copy & Print interface you can upload photos not only from your computer but other places you may store your images like Instagram, Facebook, Flickr, etc. For the photo of my Mom and her sisters, we first scanned in the image onto the computer and then went to the Copy & Print website, created an account and uploaded it. The interface is super easy to use, and we chose the full wrap mug with a pink colour instert. Once you choose your product and the insert colour, you then choose the image you uploaded and voila! It even shows the product in 3D mode so you can view it from all sides to make sure it looks the way you want it to. Place the order and you're done! Check it out! 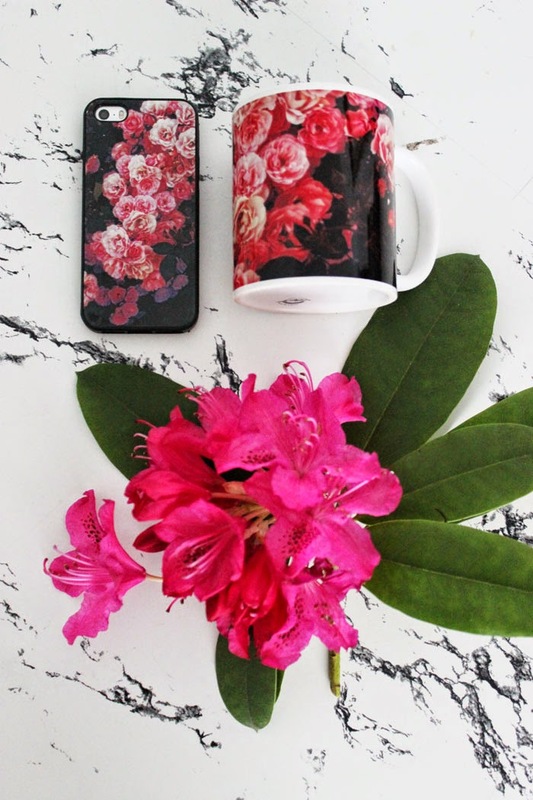 Another idea we had was, we took a photo of a beautiful rose bush (a Mother's favorite) on Instagram last summer and made a mug and matching iPhone case with it. Didn't it turn out well? This one is a favorite for sure! 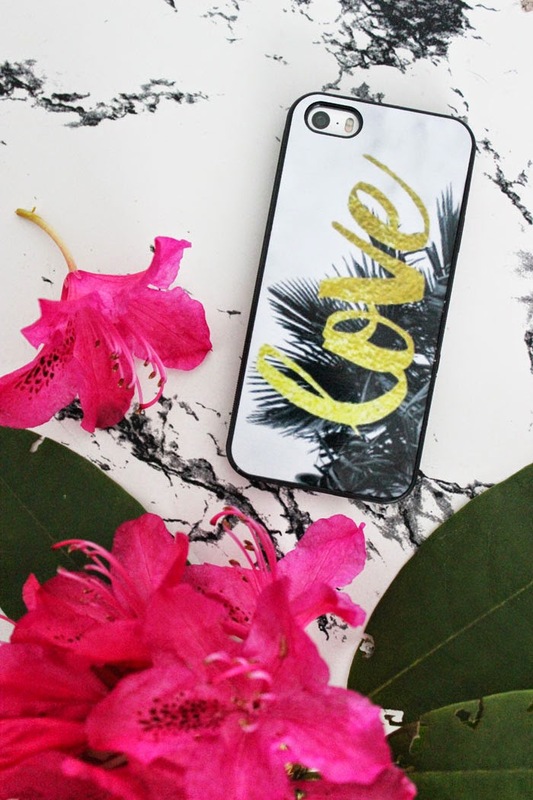 And as another option, we got a bit more fancy, grabbing another image off our instagram that we took on a special trip this spring break to Victoria, added the word love in gold in photoshop (inspired by Cocorinna) and made a really nice gift idea for mom putting them on another mug and iPhone case. We were really pleased how they all turned out and can't wait to show you our next project idea using canvas prints. I love them all!! My favorite is your mom´s pic!!! Adorable!